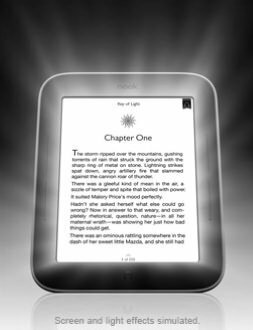 NOOK's GlowLight illuminates your screen with a soft light that is perfect for bedtime reading. With advanced lighting technology not available on any other reader, GlowLight lets you stay up late reading in total comfort - while your partner stays asleep in the dark. This revolutionary built-in reading light delivers optimized illumination never before seen on E Ink displays.